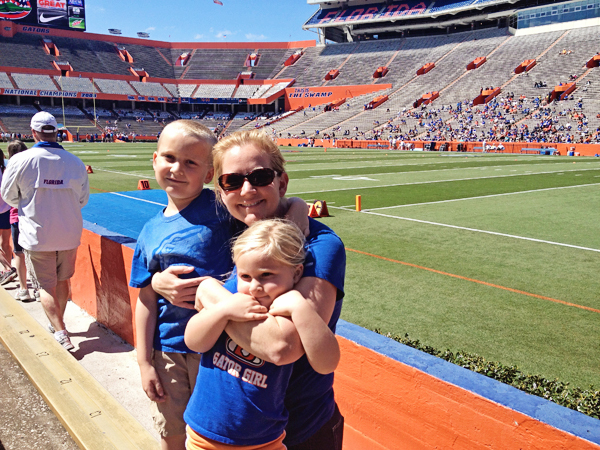 We took the kids down to Gainesville for the Orange & Blue game a few months ago. It was a blast. The weather was stunning and it was not very crowded. They loved seeing the players and meeting the cheerleaders.